As an aspiring author you have several options for how to get published. The two most popular are through a traditional publishing house and self-publishing. Three other routes also offer viable ways to have your work published. You could partner with an organization or business, you could write on a work-for-hire basis, or you could use a publishing service, where you pay a company to shepherd your manuscript through the book production process. Each of these paths comes with its own demands and requirements of the author. 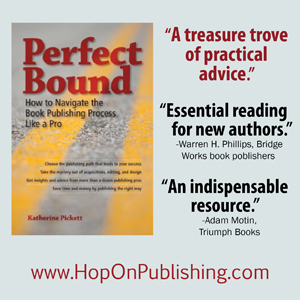 By assessing your own strengths and weaknesses, you can find the route to publication that fits you best. Take this 10-question quiz to get started. Do you have at least $5,000 that you can dedicate to your book project? Do you want complete creative control regarding the text, layout, and cover design of your book? Do you have unquestionable credentials in your field, such as a degree or many years of experience? Do you have a very narrow, targeted niche or cause? Are you willing to give up some creative control in order to make a living as a writer? Do you want a book under your name but would rather have someone else take care of the details of publication? Do you have the contacts, or are you willing to make contacts, with professionals who can help you publish a book on your own? Do you have a book idea with national appeal? Do you have a national marketing platform already in place? Do you want your book to be published in less than a year? Now review the questions to which you answered yes. These are the assets you bring with you to the publishing endeavor. Use them to help you narrow your options. If you answered yes to questions 1, 2, 7, 9, and 10, self-publishing may be right for you. Self-publishing offers the most creative control, but it also has up-front costs, such as editing, design, and marketing. If you answered yes to questions 3, 4, 5, 8, and 9, traditional publishing may be right for you. It can be difficult to break into traditional publishing without a targeted marketing hook and a strong platform, but you do avoid much of the up-front expense. If you answered yes to questions 3 and 4, collaboration with a nonprofit or business may be right for you. Collaborations work well when you can find an organization that targets your ideal readers. Exposure is sometimes limited, but you gain credibility. If you answered yes to questions 5, 6, and 8, work-for-hire may be right for you. Although you lose some creative control in this situation, you gain experience and can create a steady income. For many writers, this is their bread and butter. There are many viable paths to publication. The key to your success is choosing the route that maximizes your strengths and minimizes your weaknesses. With the results of this quiz in mind, explore your options until you find the one that’s best for you. *I would be remiss if I did not mention that many of the publishing services now available have awful reputations for preying on uneducated authors. DO YOUR RESEARCH! Know what you are getting before signing with a company and avoid any that try to pressure you into a decision. Thank you. This is very useful information.